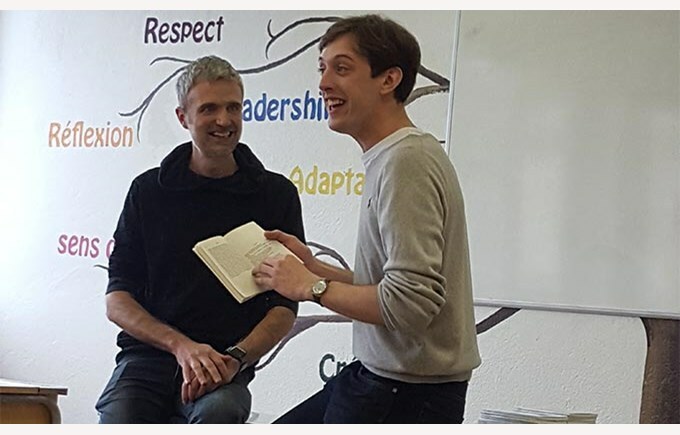 Director from Lausanne, François Gremaud and actor Romain Daroles came to present their work under the form of a joyful and interactive monologue made for classrooms. The passionate actor of classic texts like Phèdre, plays the different facets of tragedy with great enthusiasm. 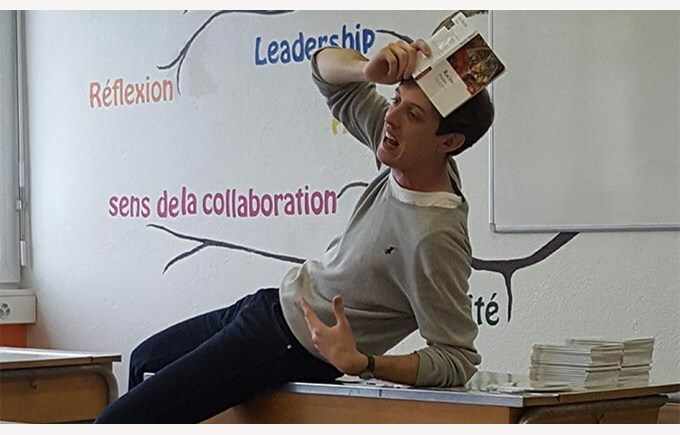 Meanwhile François Gremaud, transforms the traditional representation playfully with the students so that they listen to this great classic work, which is nevertheless at the heart of their daily context. François Gremaud offered a book of his adaptation to each student, and they were able to have it signed by the director and the actor.